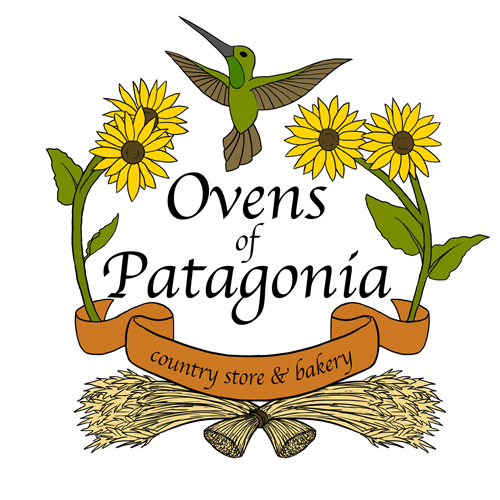 Ovens of Patagonia is a small town gourmet food, bakery, sweet shoppe, and gift store - plus anything else we can make of it. In it, you can find a delicious assortment of baked goods, fresh baked bread, and home made sandwiches. On the sweets side, there is home made fudge, soft serve ice cream and a specialty candy. Take your time to browse the store; there is a nice selection of gourmet foods including the Stonewall Kitchens, Republic of Tea, and other wonderful brands. We have local raw honey, our own jams and sauces, and home-made prickly pear candies and teas. If you're thinking about gift giving, check out our selection of handmade pottery, glass, wine bottle stoppers, and wind chimes. We also have a great selection of home and garden decor, kitchen gadgets, puzzles and games. Its the perfect place to shop for that special some-one. © 2014. Ovens of Patagonia. All Rights Reserved.